Madhya Pradesh High Court Job Notification 2019 for Civil Judge Class II Entry Level Exam 2019: Apply Online for 190 Civil Judge Vacancy 2019. MP High Court Recruitment Notification 2019 has issued for 190 Civil Judge posts for class II entry level exam. Applicants those are interested and eligible may apply through online mode. Candidates can fill MPHC Civil Judge Vacancy 2019 from 27.12.2018. The last date for registration is 20th January 2019. Furthermore, information MP High Court Jobs like eligibility criteria, application fees, selection procedure and how to apply is mention below. Dear Applicants, MP High Court Notification 2018-19 released for employment of Class II Civil Judge Entry Level Exam 2019. There are total 190 vacancies. Applicants those are interested and eligible for MPHC Recruitment 2019 can fill online form either here or official site. Therefore, the last date of online registration for MP High Court Vacancy is 20.01.2019. Moreover, the information you can collect from below paragraphs. Fresh Update as on 05.01.2019: Madhya Pradesh High Court Department has issued notification for 190 Civil Judge Vacancies. Candidates should check here eligibility criteria for MP High Court Recruitment 2019. Applicants may apply online for MP High Court Vacancy 2019 before the last date 20.01.2019. There is total 190 Civil Judge vacancy for MP High Court Jobs. Category wise details are mention on the below segment. Candidates those want to apply online for MP High Court Recruitment 2019 must check that they are eligible or not. Details of MP High Court Eligibility like education qualification, age limit and others are mention below. So before going to fill online application form of Civil Judge Vacancy in High Court of MP ensure given below eligibility conditions. Applicants who want to check MP High Court Vacancy should fulfill education qualification. Applicant should have Law Degree before the last date of apply online. Furthermore, check MP High Court Recruitment Notification 2019. 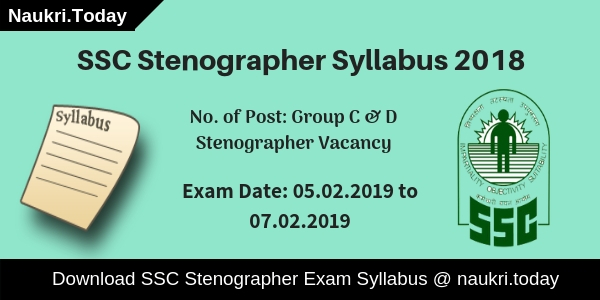 The criteria is given as on 01.01.2019. Candidates who complete 21 years are applicable apply online for MP High Court Recruitment 2019. The maximum age is required 35 years. Age relaxation is applicable for SC/ST/OBC category. For more details check official MPHC Notification. MP High Court Recruitment 2018 through online mode using Net Banking, Debit Card & Credit Card. Selection of the candidates will be made on the basis of their performance in given below examination, Firstly, the department will conduct MP Prelims Exam 2019 on 23.02.2019. After that, qualify candidates will call for Main examination and then they will call for an Interview process. Final merit list will be made on the basis of marks obtained in the main examination simultaneously the Interview Marks. 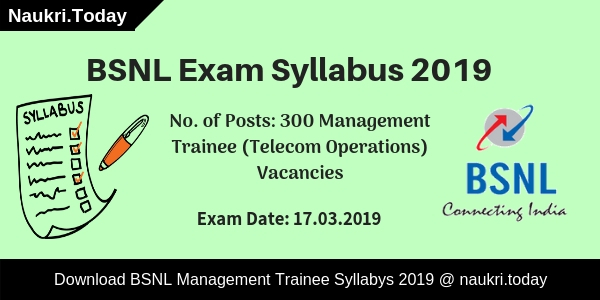 Interested and eligible candidates may apply through online mode for entry level class II examination. Here in below section, our team provides you with some instructions to apply for MP High Court Vacancy 2019. First of all, candidates should go to the official portal mponline.gov.in. 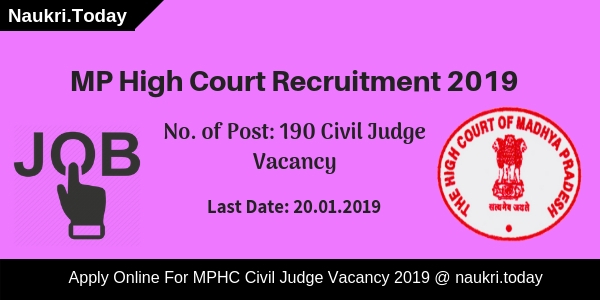 Find link apply online for MPHC Recruitment 2019 for Civil Judge Vacancy. Register on the portal with enters your personal details. Get unique registration no. and password details to again login on official portal. Now enter you educational and other information. Make payment of MP High Court Recruitment 2019 application fees. You can directly apply online for MPHC Jobs 2019 through below link. Conclusion: MP High Court Recruitment 2019 for 190 Civil Judge Class II Entry Level Exam. Applicants can fill their MPHC Jobs online form from 27.12.2018. The last date of apply online is 20th January 2019. Preliminary Examination for MPHC Civil Judge Vacancy will going to held on 23rd February 2019. Are you looking for MP High Court Recruitment 2018? Now the Madhya Pradesh High Court is providing you desired opportunity. Interested and Eligible candidates can apply for MP High Court Group D Recruitment 2018 for 40 available Vacancies. The opening date for online registration is 23.04.2018. Last date for applying for Madhya Pradesh High Court Recruitment 2018 is 22.05.2018 at 11:59 pm. For more details candidates can visit the official links below. The candidates who are applying for MP High Court Recruitment 2018 will get the full information from here. Candidates can eligibility criteria which includes Qualification, Age Limit, Application Fees etc. for MP High Court Jobs 2018. For more information candidates can check official notification. The candidates who are applying for MP High Court jobs must hold the 8th pass certificate from any Institute. Applicants must also have work experience. Interested and Eligible candidates can apply for MP High Court Vacancy 2018. For more details candidates can check the MP High Court Recruitment Notification. The candidates who are applying for MP High Court Group D Bharti 2018 should have minimum 18 years old. Maximum age limit should not more than 35 years old. For more details candidates can check the MP High Court Group D Vacancy NotificationRelaxation for Upper age limitThe Age relaxation is divided according categories for MP High Court Bharti 2018. For more details candidates can visit the MP High Court Group D Recruitment Notification 2018. Applicants who belong to UR category and Non-Domicile their application fees is Rs 200/- for MP High Court Group D Vacancy. For Reserved/PWD and Non Domicile category candidates their application fees for MP High Court Cook, Sweeper and Other posts is Rs 100/. For more details candidates can visit MP High Court Group D Notification 2018. 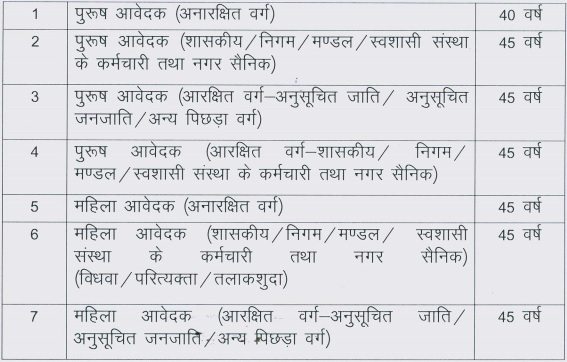 Candidates who are applying for MP High Court Bharti their selection is based on Screening/Written Examination. After that candidates who clear the exam will be called for the Interview. For more details candidates can check the MP High court notification. The candidates who get selected for MP High Court Vacancy 2018 will get a salary of Rs 7000/- per month as per collector rate. For more details candidates can check the MP High Court job Notification. Applicants who wants to fill the form for MPHC Jobs 2018 can see the steps below. Following steps are required fill the MP High Court Recruitment Application form. For more details candidates can visit the MPHC Vacancy notification. Secondly at homepage you will find a Advertisement Option. Click on it. Read it carefully. Pay the Fees for MP High Court Recruitment 2018. Upload the photo & Signature in the Application form. Visit the information once again. Then click on Submit button. Conclusion : MP High Court Recruitment 2018 has released for 40 posts of class IV cadre. Interested candidates can apply for MPHC jobs 2018 from here. Online Registration is being started from 23.04.2018 till 22.05.2018. For more details candidates can visit the MP High Court Bharti Notification Pdf. Dear Applicants, If you are waiting for MP High Court Vacancy Notification 2017 – 18, then here is good news for you. High Court of Madhya Pradesh has issued notification of Class IV (Grade 4) Vacancies. There are total 739 Driver, Watchman & Other Vacancies. Interested candidates can fill online form for MP High Court Recruitment 2017 – 18 from here till the last date. Closing date for submit MPHC Group 4 Vacancy Online form is 31.12.2017. High Court of Madhya Pradesh is inviting online application for appointing candidates on 739 MPHC Vacancies. Online registration for MP High Court Vacancy has been started from 01.12.2017. This is great job opportunity for all the candidates who are waiting High Court Jabalpur Vacancies. Appliers must check post wise required qualification & Other details before filling online form, which is mention here. Read the below article to get more details about MP High Court Sweeper Jobs. Applicants, our team is providing full details about MP High Court Vacancy Eligibility Criteria for Pen, watchman, Sweeper & Other Vacancies. If you are going to fill online form for High Court Jabalpur Vacancies should check required eligibility criteria which is mention below. Minimum age of the candidates for MP High Court Recruitment 2017 – 18 must be 18 years & Upper age must be 40 years as on 01.01.2017. relaxation in age is applicable only for reserved category candidates as per Organization rules & regulation which is mention below. Candidates must paid Rs. 100/- as portal fees for filling MP High Court Jobs Online form. Other then this General Category candidates must paid Rs. 100/- as application fees. Applicants of Reserved Category & PWD category of MP state are exempted from paying application fees for MPHC Recruitment 2017. 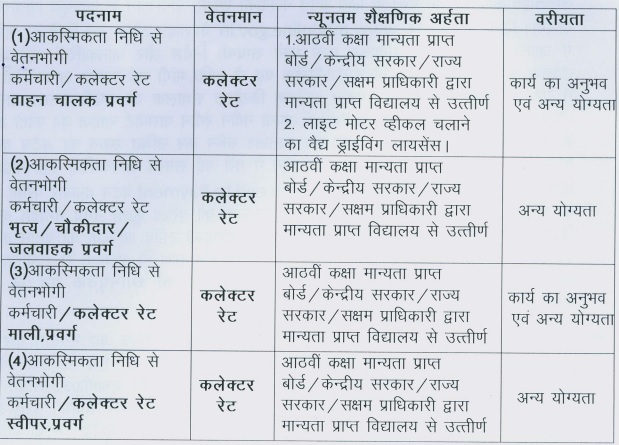 Selected Candidates for MPHC Jabalpur Jobs will paid pay band as per Department Norms. More details about monthly salary will mention in official MPHC Jobs Notification. Candidates selection for MP High Court Jabalpur Vacancies will made on the basis on Screening & Interview. Final Merit List will prepare on the basis of Marks obtain in Examination. List of selected candidates will displayed on official website. More information you can collect from official MP High Court Jobs Notification. All the Eligible & Interested candidates for MP High Court Watchman vacancies can fill online form here till 31.12.2017. Read the below steps which is helpful for filling MPHC Recruitment Online form. By using these steps you can easily filling up High Court Jabalpur Vacancy form. First of all candidates log on to the official www.mphc.gov.in. Click on recruitment section & read MP High Court Vacancy Notification. After that payment application fee. Recheck all filled details before submit MPHC Peon Online form. Take print out of MPHC Grade 4 application form for future use. Conclusion : – MP High Court Recruitment 2017 – 18 for 739 Peon, watchman & Other Vacancies. candidates can fill online form for MPHC Jabalpur Vacancies on or before the last date 31.12.2017. Check full information by reading Official Notification or by reading the above article.